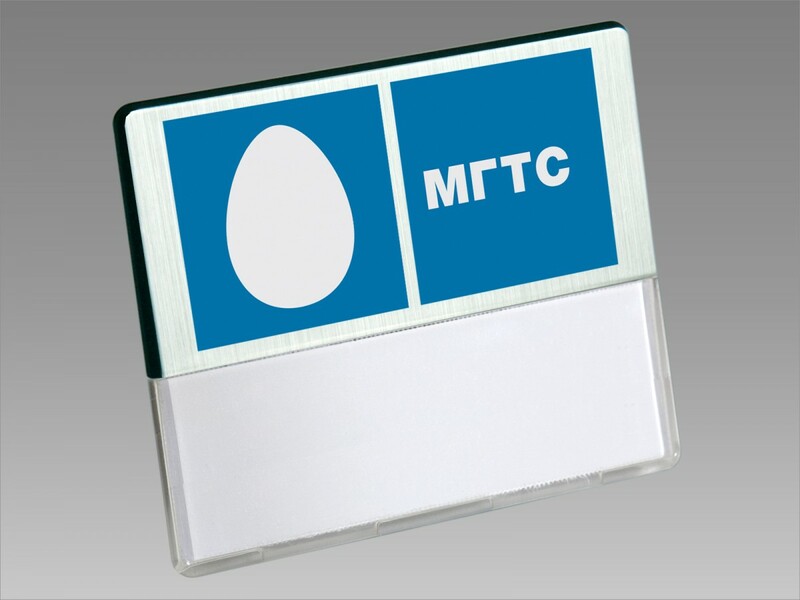 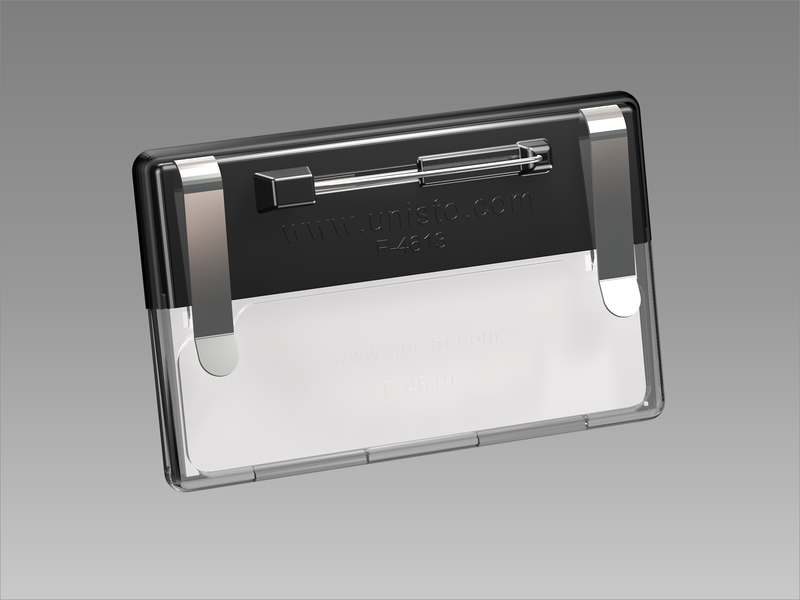 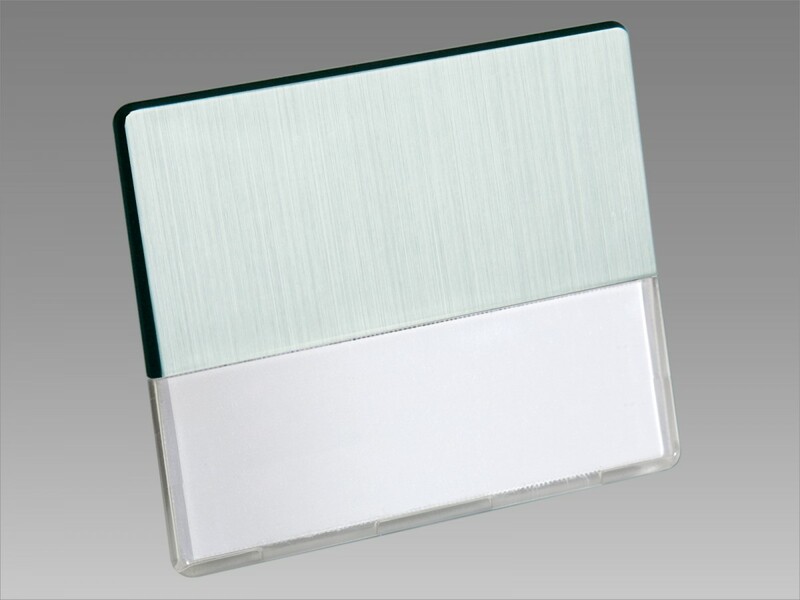 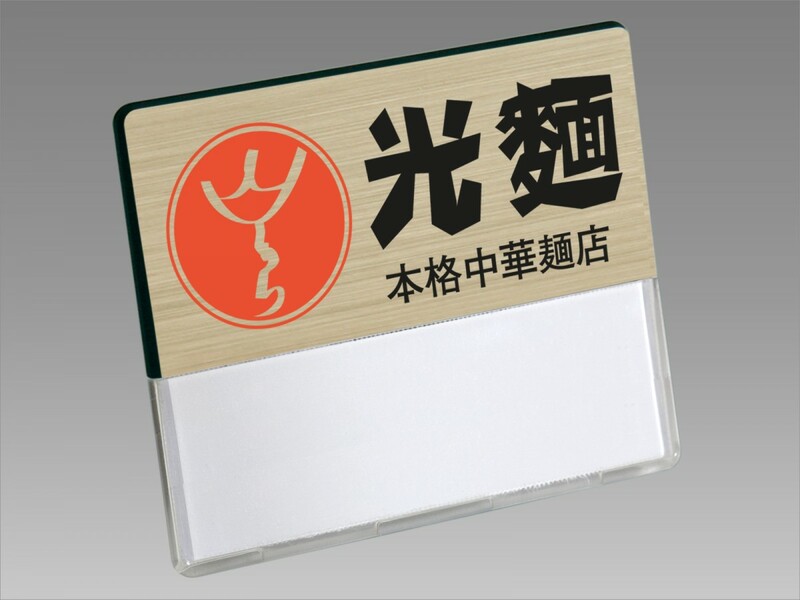 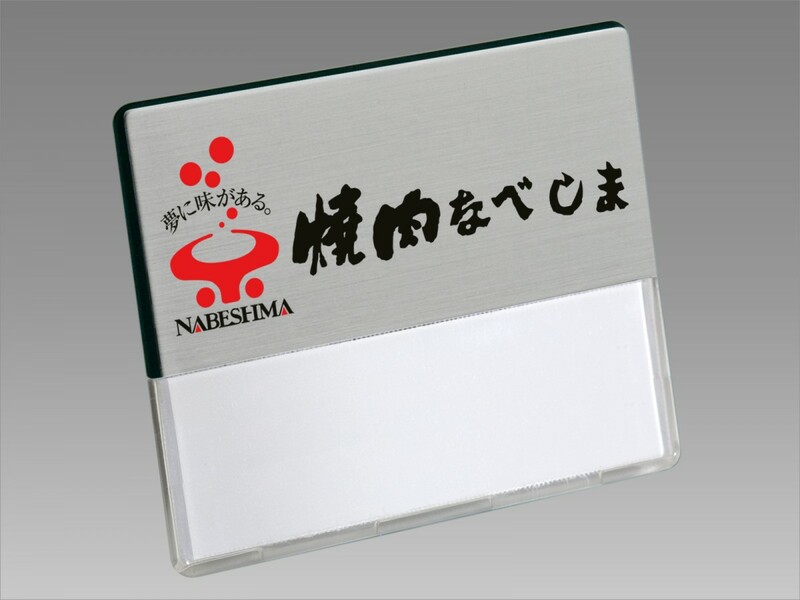 A robust two-piece business badge with a transparent protective name window. 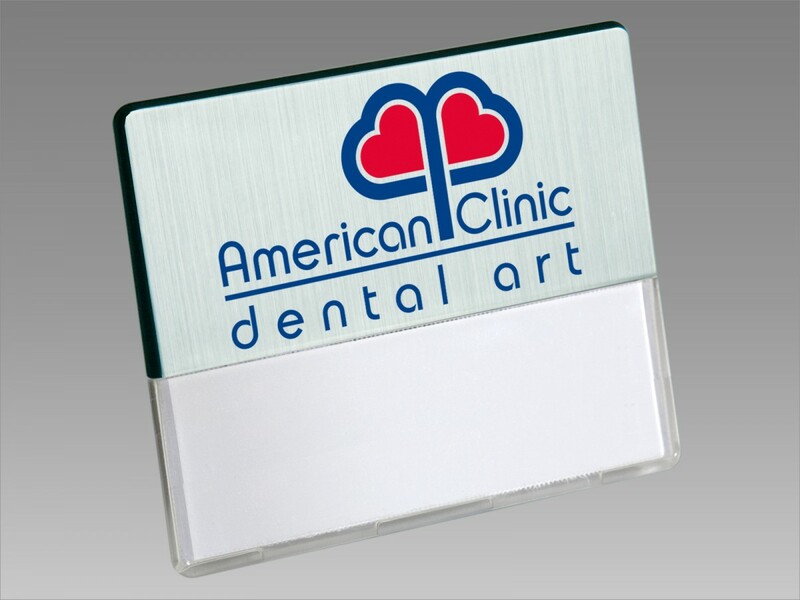 Coated with a high quality metal foil finish in silver and gold brushed. 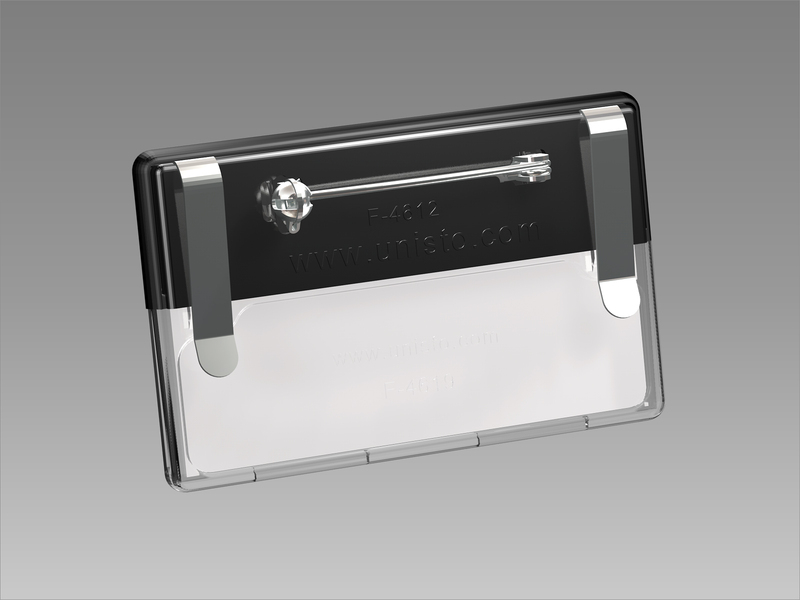 Also available in plastic white. 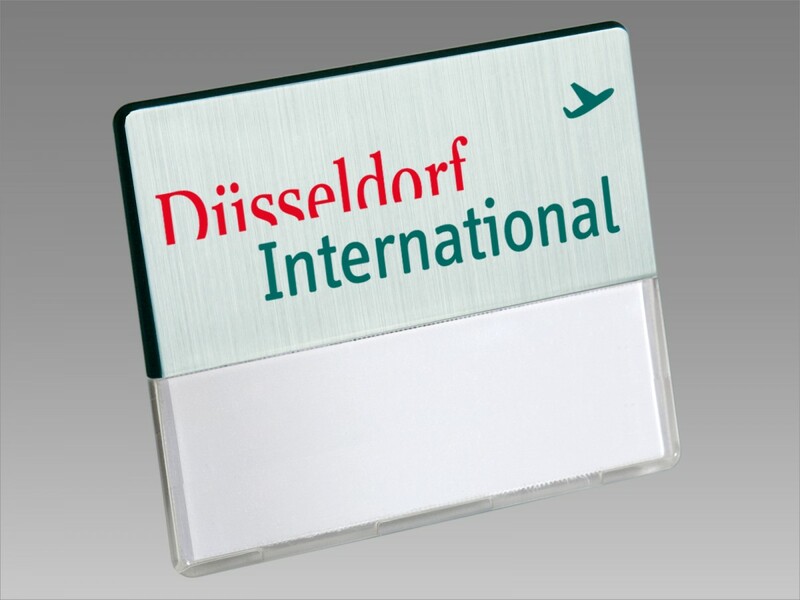 White cardboard labels on perforated A4 sheet of 24 pieces.